More On Tracey Ullman's State of the Union Season 2! 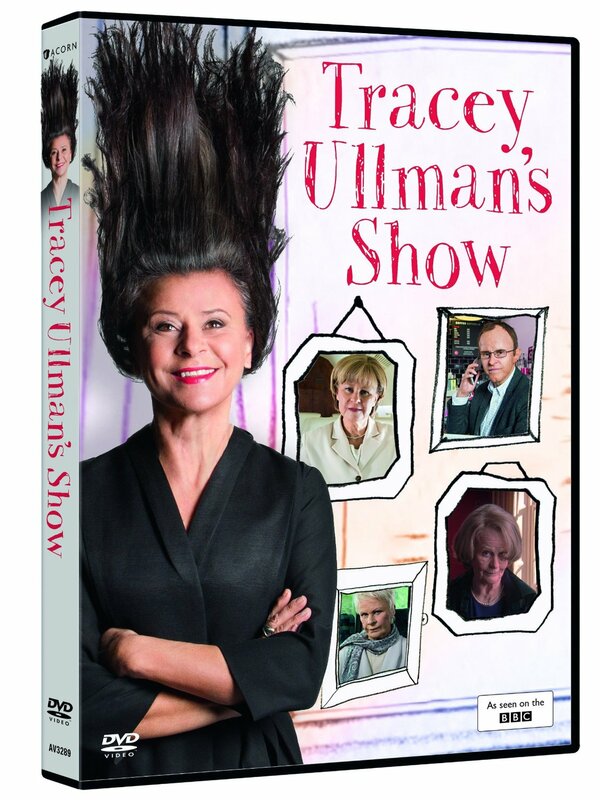 On Sunday, April 12, Tracey Ullman will return to Showtime with season 2 of her show State of the Union. At today's TCA, Ullman appeared with her fellow executive producer -- and husband of 25 years -- Allan McKeown and talked about the process of playing so many different characters. Ullman and her crew shot season 2 last fall -- 7 new episodes in 3 weeks -- adding an extra challenge to playing Arianna Huffington because the presidential election hadn't yet been decided. As a result, Ullman and her fellow writer Bruce Wagner came up with alternate endings -- an Obama and a McCain -- for those sketches. 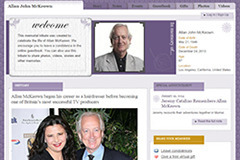 "There was very low enthusiasm [when we were filming] the McCain endings," McKeown remembered. Also in the political vein, Tracey -- who recently became a U.S. citizen after 25 years living here -- now "takes on" (to use a phrase from her earlier HBO show) Laura Bush. "I was just obsessed with Laura Bush," she admitted. "I know that by the time the show goes on, she'll be back in Crawford and it'll be 115 degrees," surrounded by her "objets d'art and trying to fit in." Among her favorites from State of the Union's first season, Huffington will be back, as will singing pharmacist Padma and her spot-on take on a squinting Renee Zellweger. And she'll be adding plenty more. This year, Tracey impersonates Jonah Hill. ("I'm never keen seeing Tracey dressed up like a guy. She always tries to kiss me and it upsets me," McKeown admits.) She's always watching odd people, she says, getting ideas. And listening to NPR. Then, it's time to write. "Bruce Wagner and I sit and throw out ideas all day together, and you write. To impersonate actual people is something I started to do [only] on State Of The Union. I hadn't done that before -- I always thought it was SNL's domain. But i thought if i'm going to do a trip across America, I should do some celebrities to add flavor to the show. But I'm not Rich Little. I didn't want to be Sarah Palin, which i think Tina Fey nailed and was a genius thing. I wanted to be that lesbian Sarah Palin talked about who was her best friend for years. Where was she -- Juneau?" In the resulting show, tied together with a voice-over narration by Peter Strauss, Tracey plays a plethora of characters as they live and breathe one day in America dawn to dusk, in pieces lasting no longer than two minutes. The show has a lot of similarities to Little Britain -- and particularly to HBO's current Little Britain, USA, which is also set on a trip thru the States. But a format framed by voice-over is nothing new, Tracey says of the similarity. Plus, McKeown points out, whereas Little Britain is all sketch comedy, State of the Union has Tracey playing the truth in realistic American characters first, with punchlines coming second. 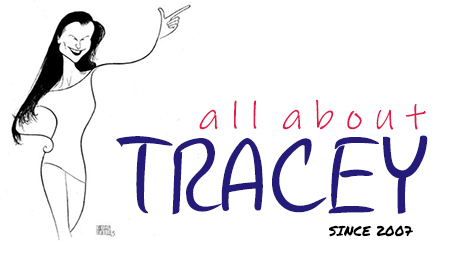 I asked Tracey if characters her fans (like me) love from her earlier series -- like Francesca, being raised by two gay dads on The Tracey Ullman Show, or Fern Rosenthal, the Jewish Florida matron from Tracey Takes On -- might ever pop up on this newest show. Fern, she realized, thinking quickly, would be perfect: she's undoubtedly a Bernie Madoff victim. So don't be surprised to see her pop up. But there are other things about her older shows Tracey is happy to leave behind. Watching Tracey Takes On now, she says, she's struck by how each character scene seems to go on forever. Now, she says, doing these quickie bits of characters is much more in fitting with the times, with our "youtube mentality." And, of course, it also offers her the chance to cram in so many more personalities. "I can't do a show where I play just one character," she admitted. "Even if I love playing a character and have a great time, at the end of the day I say 'What are we going to do tomorrow?' I just have that energy. And until I get too old, that's what i'm going to do. Then I can do Murder She Wrote where I live in Cornwall and solve mysteries."